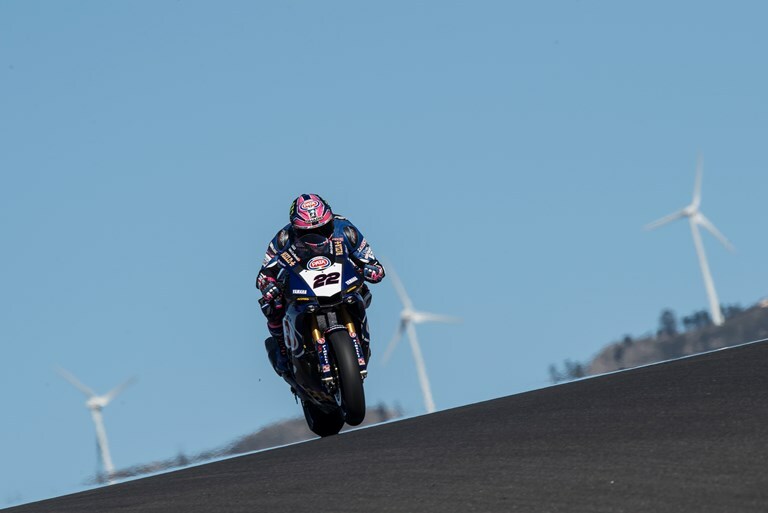 The Pata Yamaha Official WorldSBK Team concluded a successful two-day test on Monday in Portimao, completing 334 laps in total and continuing their excellent build up to the 2018 FIM Superbike World Championship. Alex Lowes enjoyed a very positive test, having completed 170 laps the 27-year-old ended Monday in third overall after setting a 1:41.633 and showing excellent consistency over both days. His teammate Michael van der Mark was amongst the front-runners throughout the whole of the test in Portugal, with the 25-year-old Dutch rider finishing in fourth overall on the timesheets on Monday after setting a 1:42.028 and completing 164 laps. The Pata Yamaha team had already completed a positive two-day test at Jerez last week and managed to keep their superb momentum for the 2018 season going in Portimao after getting through a huge workload over the two days. Lowes left Portimao happy with the work done and feeling confident that he can battle at the front once more after a 2017 season that saw him record four podiums and finish fifth overall in the championship standings. The 27-year-old British rider had a raft of new updates to test over the two days in Portimao and managed to complete a number of long runs to collect some essential data for the team. The 2013 British Superbike Champion completed an impressive 170 laps in total over the two days and finished in third overall with a best time of 1:41.633, just 0.148s off the top, meaning he heads to Phillip Island full of optimism. His teammate van der Mark was in sensational form at the scene of his first Yamaha podium in 2017, ending Sunday in third with a 1:42.218, before improving on Monday to a 1:42.028, which was good enough for him to finish in fourth overall on the timesheets, 0.543s behind the fastest rider. Impressively, he actually set his fastest time on a race tyre, as he focused on his race pace and rhythm while working to assess a number of new updates for the 2018 season on his Pata Yamaha R1. The 2014 WorldSSP Champion managed to put in a huge effort over the two days in Portimao, completing 164 laps in total to ensure he is in the best position possible as he heads into his second season with the team after a promising 2017 season that saw him on the podium twice.